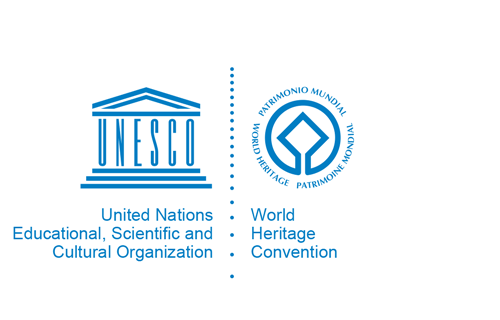 States Parties are countries which have adhered to the World Heritage Convention.They thereby agree to identify and nominate properties on their national territory to be considered for inscription on the World Heritage List. When a State Party nominates a property, it gives details of how a property is protected and provides a management plan for its upkeep. States Parties are also expected to protect the World Heritage values of the properties inscribed and are encouraged to report periodically on their condition. The symbol ** designates those States for whom, in accordance with Article 33, the Convention has not yet entered into force. This Convention entered into force on 17 December 1975. It subsequently entered into force for each State three months after the date of deposit of that State's instrument, except in cases of declarations of succession (indicated by the letter (S)), where the entry into force occurred on the date on which the State assumed responsibility for conducting its international relations. Effective date for the short official name: 17 May 2016; Pronunciation: "CHECK-iya"
Further to the communication dated 30 May 2018 from the permanent mission addressed to the Protocol and Liaison Service, the country name was changed from the former name of the Kingdom of Swaziland (former short form: Swaziland). Effective date: 19 April 2018. Through the accession of the German Democratic Republic to the Basic Law of the Federal Republic of Germany, with effect from 3 October 1990, the two German States have united to form one Sovereign State. The Contracting Parties to the Unification Treaty "have agreed that the treaties and agreements to which the Federal Republic of Germany is a contracting party ... remain in force and that their respective rights and obligations ... be applied" to the whole territory of Germany. The German Democratic Republic acceeded to this Convention on 12 December 1988. On 16 September 2011, the National Transitional Council requested, via the Protocol and Liaison Service, that the form "Libya", previously not in use at the UN, replace both the earlier official and short forms (respectively, the Socialist People's Libyan Arab Jamahiriya and Libyan Arab Jamahiriya (the)). With an extension to Curaçao. Further to the communication dated 14 February 2019 from the permanent mission addressed to the Protocol and Liaison Service in line with the Final Agreement for the Settlement of the Differences as Described in the United Nations Security Council Resolutions 817 (1993) and 845 (1993), the Termination of the Interim Accord of 1995, and the Establishment of a Strategic Partnership between the Parties. Effective date: 14 February 2019. The instrument of ratification was deposited by the U.S.S.R., on 12 October 1988. The unification of the Yemen Arab Republic and the People's Democratic Republic of Yemen into a single Sovereign State, the Republic of Yemen, was proclaimed on 22 May 1990.